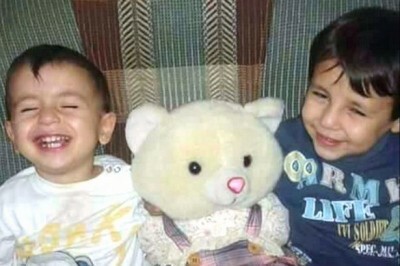 Hand in Hand for Syria, the UK registered charity at the heart of the controversial 2013 BBC Panorama programme Saving Syria’s Children, is receiving all the proceeds from a new fund established in honour of Alan Kurdi, the three year old who drowned along with his mother and brother as his family attempted to reach Greece from Turkey on 2 September 2015. In the documentary, two doctors volunteering with Hand in Hand visit Atmeh and check up on hospitals run by the charity, including Atareb Hospital, Aleppo, where the BBC Panorama team filmed the dramatic arrival of alleged victims of an incendiary bomb attack on a school playground in nearby Urm Al-Kubra. These scenes – first transmitted just as the UK parliament voted on military intervention in Syria – have become the subject of worldwide scepticism. is seen arriving at the meeting. I think it was implicit that the charity was working in an area of Syria controlled by the opposition and would therefore be likely to share its aims and objectives (as opposed to supporting the Syrian government). Image: The nurse on the left appears at 31:17 in Saving Syria’s Children (http://bit.ly/1wO3p2w) in scenes filmed at Atareb Hospital, Aleppo on 26 August 2013. Dr Saleyha Ahsan is wearing the checked shirt. 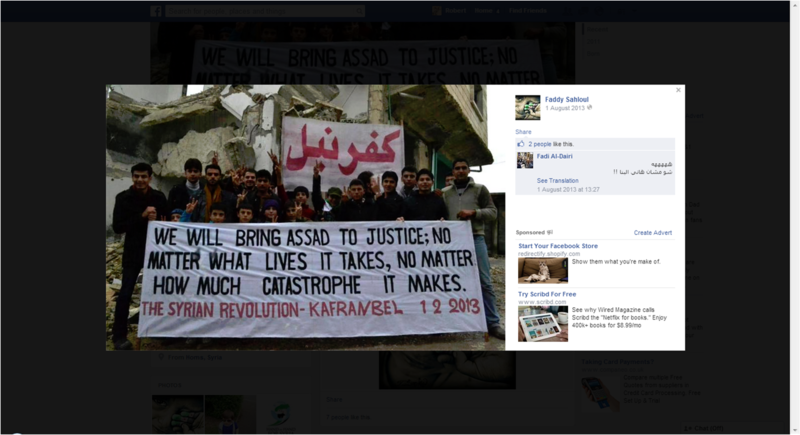 Image: This site boasts of the supposed fighting prowess of fifteen year old “Mujahid Omar”. Many more questions about Hand in Hand for Syria are posed in adossier compiled by peace activist Dr Declan Hayes and in two You Tube videos:Inside the BBC’s Uprising: Hand in Hand for Propaganda and WANTED: Evidence Hand in Hand for Syria is Really in the Business of Saving Lives. 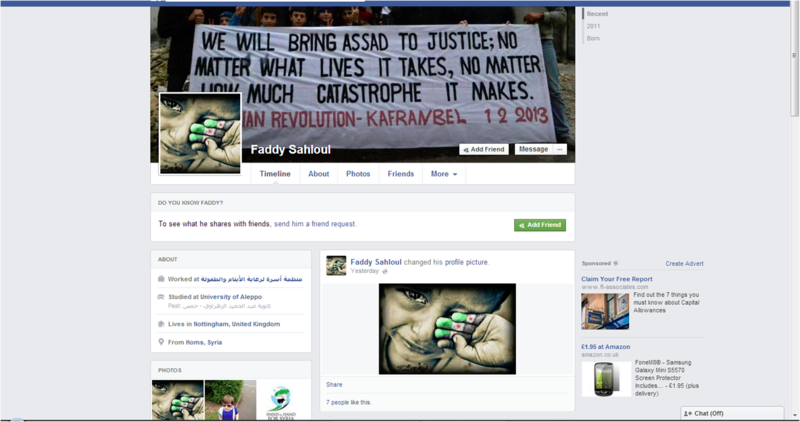 Mr Sahloul’s bloodthirsty sentiments were “liked” on Facebook by Hand in Hand for Syria co-founder Fadi Al-Dairi. 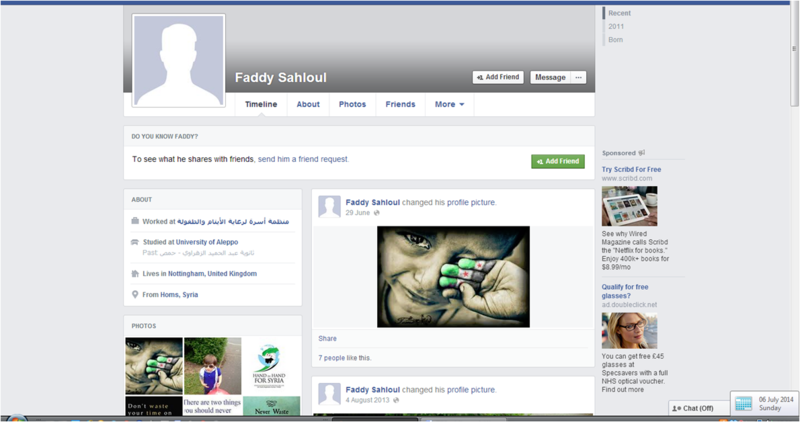 Along with Mr Sahloul, Mr Al-Dairi is listed as one of Hand in Hand for Syria’s Trustees on the Charity Commissionwebsite. BBC Editorial Complaints Unit Provisional Finding, 23 April 2014 (see p10 ofdownload).